Ned died on 26th July 2004 whilst undergoing surgery for a broken hip. Those that soldiered with Ned will readily recall his light hearted approach to service life. Whilst always serious about his responsibilities, his cheerful light hearted manner endeared him to all of those that served with him whatever their rank. Ned enlisted as an apprentice with the Army Technical School at Fort Darland Gillingham Kent and thus became a "Darland Boy". On arrival Ned met up with a big Cornish lad who enquired, " what's your name and where are you from?" Ned replied. Peter Parker and I'm from Weymouth". "I know that place" said the Cornish lad "there's lots of donkeys on the beach". So overnight Peter became Ned and in military circles has remained so ever since. Come Dunkirk, Fart Darland was requisitioned for the survivors and all of the lads were returned home. Upon recall most of the Darland Boys were sent to finishing school at Beachley Camp Chepstow, but Ned being somewhat older went into man service. Ned saw active service in North Africa but unfortunately nothing is known of his exploits, but being Ned it was probably some clandestine outfit! Quite when Ned volunteered for Airborne Forces is unclear but it is known that he was press ganged into the staff of the Airborne Forces Infantry Training Centre. (ITC) along with an RE Sgt. There he remained at Sheffield followed by the Isle of Wight during which time he met and married Kathleen. In 1946 he was posted to 1st Airborne Sqn in Palestine where he served until 1948. 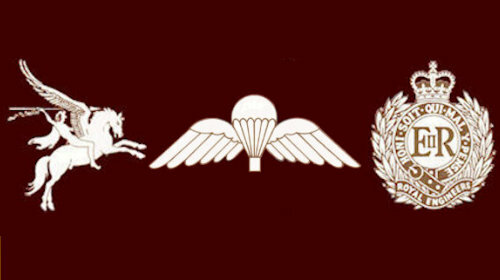 In 1950 Ned rejoined Airborne Forces with 9 Airborne Sqn at Malta Bks, Aldershot and went with them to Cyprus and Egypt. During this time he became 1 Troop Sgt and truly made his mark by the contribution that he made to the tremendous spirit that pervaded the Sqn during this most testing time of repetitive internal security duties. On the return of the Sqn to Waterloo Bks Aldershot in 1954 Ned took on the responsibility of coaching the Sqn lightweight Tug of War team and became so good that some say that he had Jimpy Aitkin the 2nd Bn RSM and coach shaking in his shoes. Soon afterwards Ned was posted 300 Sqn 131 Parachute Engineer Regiment TA. From then on Ned remained in Airborne Forces moving back and forward 9 Sqn to 131 until 1964. During 1961 Ned took over as Sqn SSM following the departure of SSM Conway. Ned ended his military service as QMSI of the RE Bridging Camp, Wyke Regis, and on retirement joined a local building form in his home town of Weymouth. His funeral took place at the Weymouth Crematorium on Thursday 5 August and at the families request Ned was given the best possible military send off. 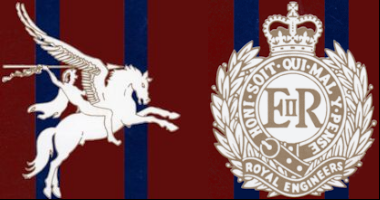 There were 12 Association members, predominately from Ned's 1 Troop complimented by the AEA standard. Following the cremation the opportunity arose to exchange anecdotes of Ned's various traits of character with the family, who were most appreciative of the support. Ned's wife Kathleen sadly predeceased him by some six years. Our condolences go to sons Michael & Stephen, daughter Maria and their families. Farewell Old Pal. You will always be alive in our memories.